With the start of the 2018 Hurricane Season on June 1st, interested officials from several government and on-government agencies joined farming stakeholders to hear the National Meteorological Service of Belize present its seasonal outlook for the next six months of the rainy/hurricane season and long 12-month forecast of possible drought when the rainy season is over. 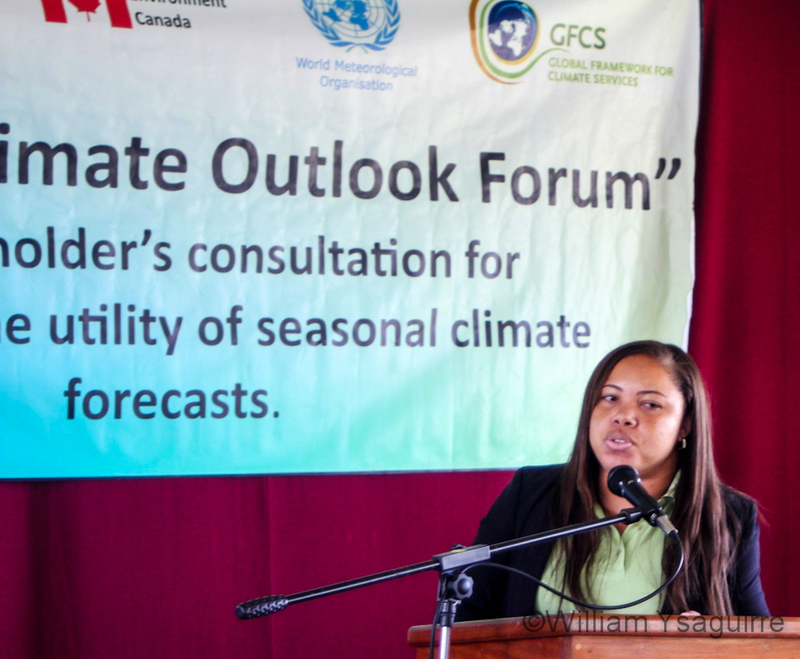 The interested parties gathered at the 6th National Climate Outlook Forum at the George Price Center in Belmopan on Wednesday, May 30th to plan how best to use this weather information to their advantage, while emergency response agencies sought to plan how to mitigate the effects of natural weather events. 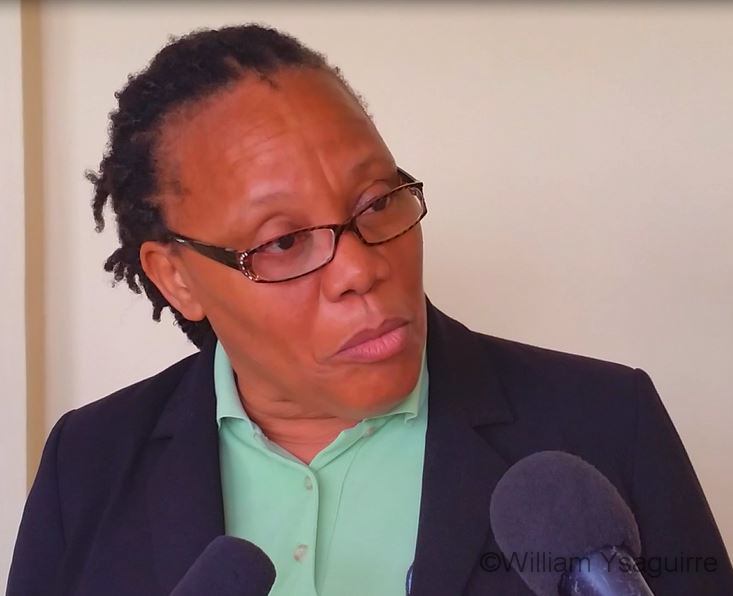 Chief Executive Officer Ruth Meighan of the Ministry of Transport and National Emergency Management welcomed the participants to the Forum and Minister of National Emergency Management Hon. Edmond Castro delivered the opening remarks. Climatologist Ronald Gordon of the National Met Service explained how farmers and other investors could interpret the rainfall and other data provided by the Met Service to protect themselves and to measure the risk factor to their properties and assets in the floodplain and in the coastal zone which may be susceptible to tidal wave action from a severe storm. 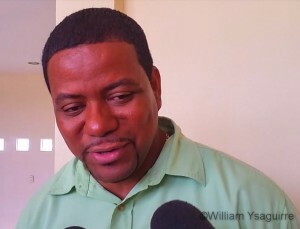 He said based on their data collected and the trends they have observed, the Met Service is expecting below average rainfall for June, July, and August for most of the Caribbean region including Belize, and for cooler days, hedging his statements by saying that this would be as compared to what has been the norm in recent years, which have been very warm. He said this is backed by similar models being prepared by the United States and Europe, whose global weather models are predicting similar conditions for our area. He noted that the temperature data is of particular interest to farmers, in planning their planting and harvesting cycles, and in anticipating any shortfalls in their harvest. He noted that the National Met Service’s data for the past 60 years shows that temperatures in Belize have been increasing gradually over the past six decades, particularly temperatures at night. Chief Meteorologist Catherine Cumberbatch broached the subject on everyone’s mind, how bad the upcoming hurricane system would be, saying this year’s hurricane activity in the North Atlantic basin including the Caribbean and the Gulf of Mexico is expected to be slightly above normal, with 12 to 14 named storms. Cumberbatch admitted that she had no way of predicting where these weather systems might make landfall, and so it would be best to be prepared and to activate your hurricane preparations from Friday. She said that while the Met Service may base its predictions on the observed trends in rainfall as collected in the past, there was no way of predicting freak changes that might bring rainfall earlier than usual, while there might be less total rain across the span of the entire rainy season. She invited all Belizeans to visit the Met Service’s website: www.hydromet.gov.bz for up to date weather forecasts, weekly outlooks and long-term climatological data. Shanea Young of the Met Service presented the data collected at Central Farm on drought with graphs showing the precipitation index, which can help farmers to better plan when to plant. She said the Met Service works closely with the Agricultural extension officers to ensure that this information is distributed to farmers in a timely manner. She noted that the government’s policy on drought is to enhance and implement an Agriculture Disaster Risk Management Plan, which does not include floods and hurricanes as these are not drought risks. For those Belizean farmers whose livelihood may be impacted by drought, the risk management plan recommends livelihood an economic diversification, and insurance; so as to reduce drought costs, save on relief costs, with other social and economic benefits. The 2018 Atlantic Hurricane season officially started on Friday, June 1st, and weather experts are predicting an average to above-average intensity hurricane season for this year. Meteorologists are predicting 10 to 16 named storms, with winds of 39 miles per hour or higher in the Atlantic Ocean. Of those storms, five to nine could become hurricanes and one to four could strengthen into major hurricanes in the categories 3, 4, or 5, with winds over 110 miles per hour. The hurricane season runs from June 1st to November 30th every year, and according to reports from the National Oceanic and Atmospheric Administration (NOAA), an average hurricane season contains about 12 named storms, six of which become hurricanes. The first storm to form outside of the season was Tropical Storm Alberto, which brought flooding rain to Florida in the United States of America in the last weekend of May. The National Emergency Management Organization (NEMO) and Red Cross agencies countrywide have reportedly started making preparations for the upcoming season. Hurricane shelters have also been identified and inspected. The general public is advised to make preparations as early as possible in the event of a storm. Some helpful hurricane preparedness tips include: listen to Belize Hydromet and other agencies for critical information from the National Weather Service (NWS), check your disaster supplies and replace or restock as needed, bring in anything that can be picked up by the wind, close your windows, doors and hurricane shutters (if you do not have hurricane shutters, close and board up all windows and doors with plywood), turn your refrigerator and freezer to the coldest setting (keep them closed as much as possible so that food will last longer if the power goes out), turn off propane tank, unplug small appliances, and fill your car’s gas tank. In addition, it is important to create a hurricane evacuation plan with members of your household. Planning and practicing your evacuation plan minimizes confusion and fear during the event. Also, contact your local authorities to learn about a community hurricane response plan. Plan routes to local shelters, register family members with special medical needs and make plans for your pets to be cared for. It is critical for all residents to obey evacuation orders, especially in areas in Belize that are prone to flooding. To learn more, visit nemo.org.bz, call telephone number 822-2054/0995/0153, or e-mail [email protected] You can also visit NEMO representative in San Pedro Vanessa Parham on Coconut Drive from 9AM to 5PM Monday to Friday. Follow Belize Hydromet at www.hydromet.gov.bz/.